Duke Energy is putting 10 million dollars toward the improvement of waterways in five Southeastern States. The new Water Resources Fund was introduced Wednesday at multiple news conferences. Duke Energy is putting $10 million toward the improvement of waterways in five Southeastern States. The new Water Resources Fund was introduced Wednesday at multiple news conferences. 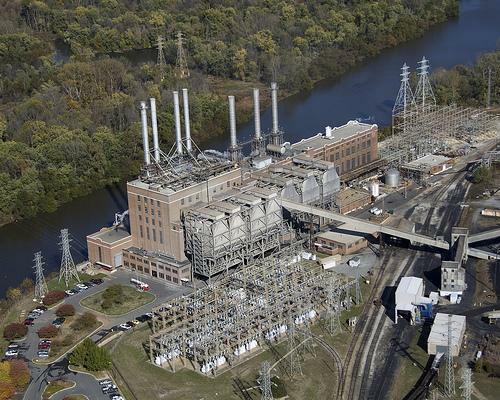 Duke has also announced plans to remove coal ash from three unlined dumps in South Carolina. But there is no immediate timetable for such removal in North Carolina. This comes almost eight months after the third largest coal ash spill in U.S. history. "Everybody makes mistakes, we wish it hadn't happened. But we feel very strongly that we're going to learn from this and we're going to be stronger as a company. And I think our communities are going to see that," said Paul Newton, Duke's North Carolina President, speaking in Danville, Virginia. Danville is about 20 miles downstream from Eden, North Carolina. That's where the coal ash spill happened last February. A stormwater pipe ruptured and 39,000 tons of potentially toxic coal ash poured into the Dan River. Some of it deposited at a dam near here. Duke Energy has since removed that coal ash. Much of the sediment spread out and settled across the river bed. As part of its clean-up efforts, Duke announced Wednesday it would allocate $1.5 million for projects along the Dan River Basin. It's part of a $10 million effort to improve waterways in a larger area. "We're touching not only the Dan River Basin with those dollars, with great projects for conservation and otherwise, but it's also going to touch other states." And across five states, how much good will does $10 million really get you? "Well I think that depends on the quality of the project that comes forward. We're asking 501-Cs, 501-3-Cs, we're asking local governments, school systems to come forward with ideas they would like to implement to improve the quality of the water. And we're going to fund the good ones," Newton said. 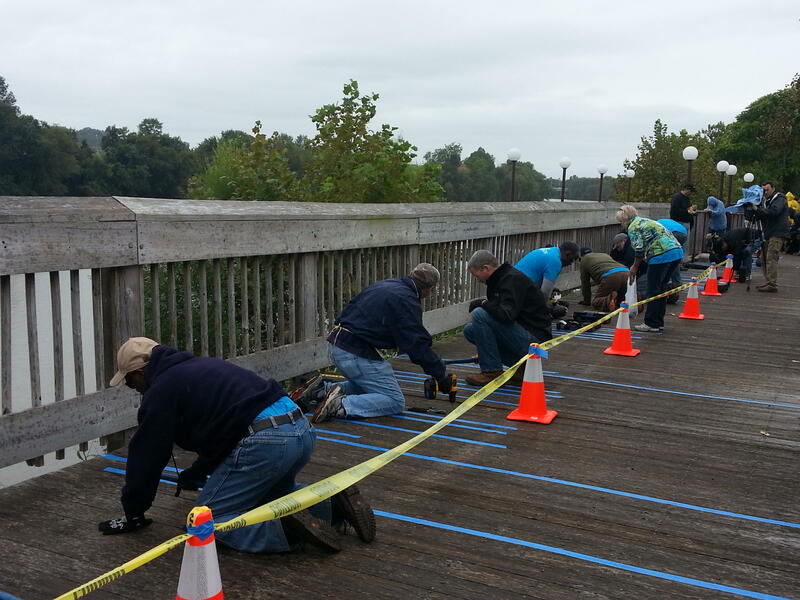 Duke Energy workers hammered and drilled along the Dan River boardwalk Wednesday morning. "I think it's a start, it's a first step. Duke has said they'll make it right, I've been skeptical all along," added Gary Miller is the Vice Mayor of Danville. He says Wednesday announcement by Duke doesn't undo the damage caused by the spill, or alleviate some of his other concerns. "We don't know the long-term effects. These heavy metals in the water and in the soil can cause effects years from now." Environmentalists have long called for the closure and removal of coal ash from storage ponds, or dumps, at 14 Duke Energy sites in North Carolina. "The most important thing Duke can do is instead of engaging in public relations, is to actually stop polluting the rivers of North and South Carolina and Virginia," said Frank Holleman, a senior attorney with the Southern Environmental Law Center. Yesterday, the company announced plans to do just that in South Carolina. However, they have not made that pledge in North Carolina, or in Eden - site of the spill. "It is really a shame that today at the Dan River site, Duke has yet to begin cleaning up the coal ash in the lagoon that dumped coal ash into the Dan River," Holleman said. He says there is a risk of another accident taking place. But Duke officials say the chances of that are slim. Mike Dougherty agrees. He's the Director of Economic Development in Eden. "Corporations, I worked in one for 15 years, they're not obligated to do anything. And Duke energy relative to other corporations has been a great corporate citizen. And as I said, they're trying to make it right, the best they can, under the circumstances," Dougherty said. Almost eight months after the spill, the circumstances in this story remain fluid. Last week Governor Pat McCrory, allowed a coal ash clean-up bill to become law, without his signature. Some have criticized the coal ash bill for being too weak and requiring no immediate action. Looking ahead, two other central questions linger - who would pick-up the tab for removing large amounts of coal ash? And, what if anything, will come from the federal criminal investigation into the relationship between Duke Energy and the state agency charged with policing it? Environmental groups are putting pressure on Governor Pat McCrory to do more to clean up coal ash across the state. 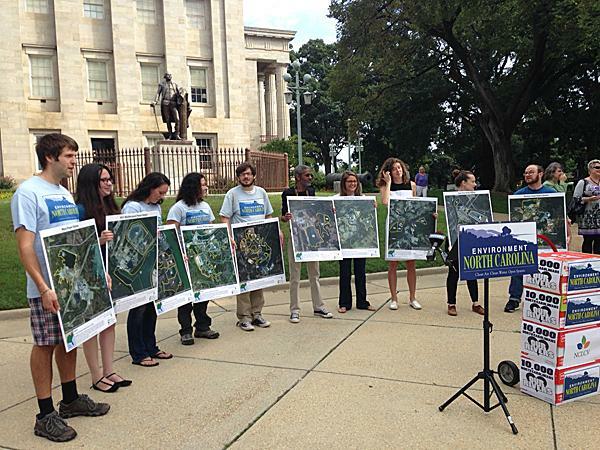 Environment North Carolina delivered a petition with 40,000 signatures to his office today. Legislation goes into effect today that directs Duke Energy to clean up coal ash at the four pits deemed to be the highest risk. The law gives Duke 15 years to complete the clean-up. Environmentalists say that doesn’t go far enough. Environmentalists say they plan to sue Duke Energy over coal ash pollution from power plants, after the state environmental agency said it does not plan to take new legal action against the utility company. Lawyers at the Southern Environmental Law Center first said in early July that they wanted to file a lawsuit. They said Duke was violating the federal Clean Water Act at the Buck Plant in Rowan County, the Cape Fear Plant in Chatham County, and the H.F. Lee Plant in Wayne County.